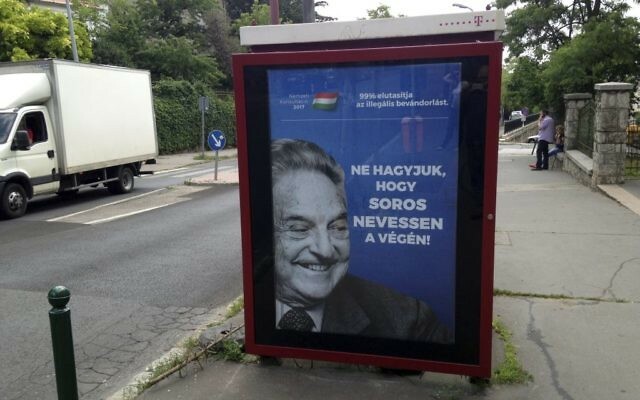 BUDAPEST, Hungary — US billionaire George Soros hit back Tuesday at a Hungarian government anti-immigration poster and media campaign that he said uses “anti-Semitic” imagery. Since the posters appeared on billboards and at public spaces around the country last week, as well as on television, several incidents of anti-Semitic graffiti such as “Stinking Jew” or Stars of David daubed on them have been reported. Those defacing the posters with graffiti “(understood) the government’s intent,” he said. “The government has consistently and willfully misrepresented Soros’s views on migration and refugees,” he added. 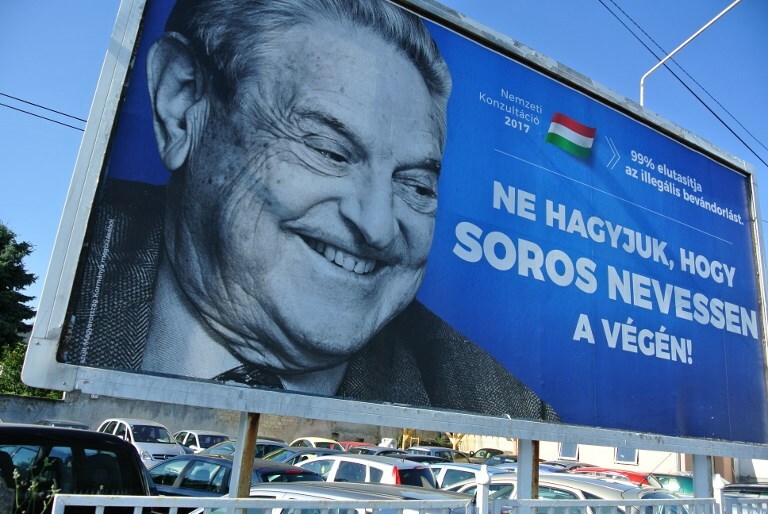 On Friday Orban accused Soros of being a “billionaire speculator” who wanted to use his wealth and civil groups that he supports to “settle a million migrants” in the European Union. 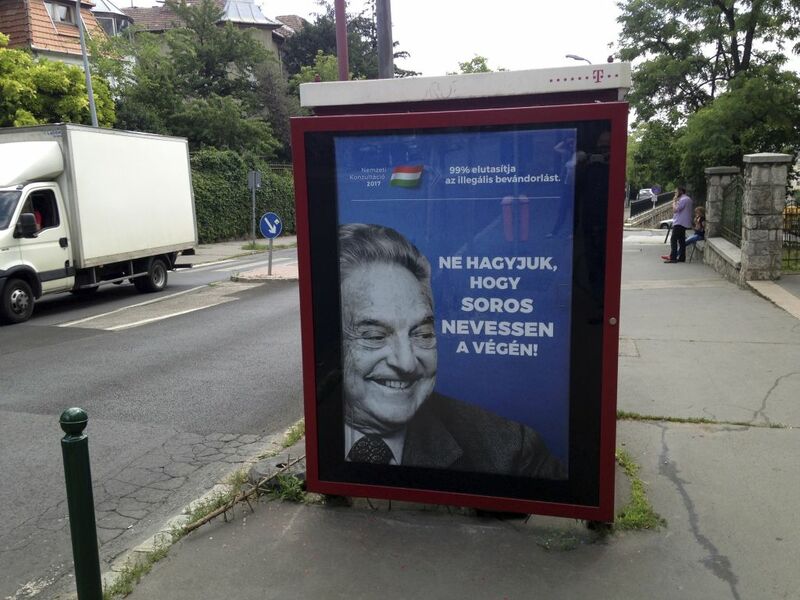 Orban and government officials say that Hungary has a policy of “zero tolerance” of anti-Semitism, and that the poster campaign is about increasing awareness of the “national security risk” posed by Soros. But late Sunday — reportedly at the request of Prime Minister Benjamin Netanyahu’s office — Israel’s foreign ministry issued a separate “clarification” that criticism of Soros was legitimate. “Israel deplores any expression of anti-Semitism in any country and stands with Jewish communities everywhere in confronting this hatred,” said Foreign Ministry spokesman Emmanuel Nahshon in a statement. 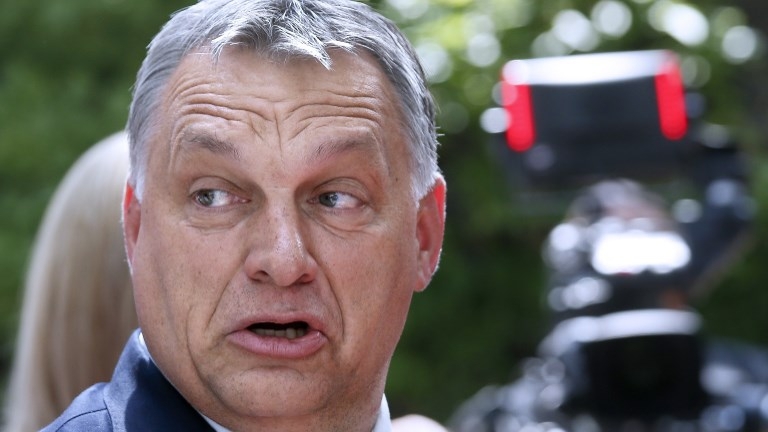 “This was the sole purpose of the statement issued by Israel’s ambassador to Hungary. “In no way was the statement meant to de-legitimize criticism of George Soros, who continuously undermines Israel’s democratically elected governments by funding organizations that defame the Jewish state and seek to deny it the right to defend itself,” Nahshon added.